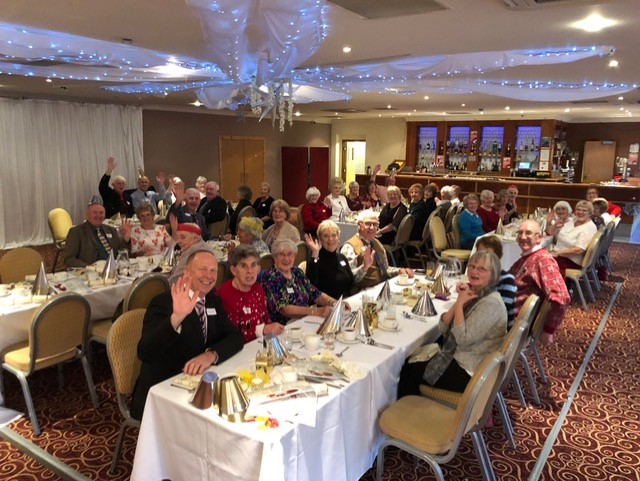 The annual Christmas lunch for Police widows was held on 5 December 2018 at the Gilvenbank Hotel, Glenrothes with 44 ladies, members and guests attending. Branch Vice-Chair Ken Bellingham welcomed everyone. This again was an excellent get together with everyone enjoying the catch-up and blether. After the lunch all the ladies were presented with a Christmas gift from one of Santa’s Fife Branch helpers.